Would you like to get twitter newspaper daily in your mailbox and only with topics that you interesting in? Microblogging isincreasingly approaching to the populrity of a Facebook. Twitter is a great spot, where we can join with others with a common interests and share variety of links to interesting web pages, blog posts, videos and photos. Do you ever feel that you miss some interesting tweets, beacuse you have very productive following friends or you follow too many of them? I have this feeling all the time. 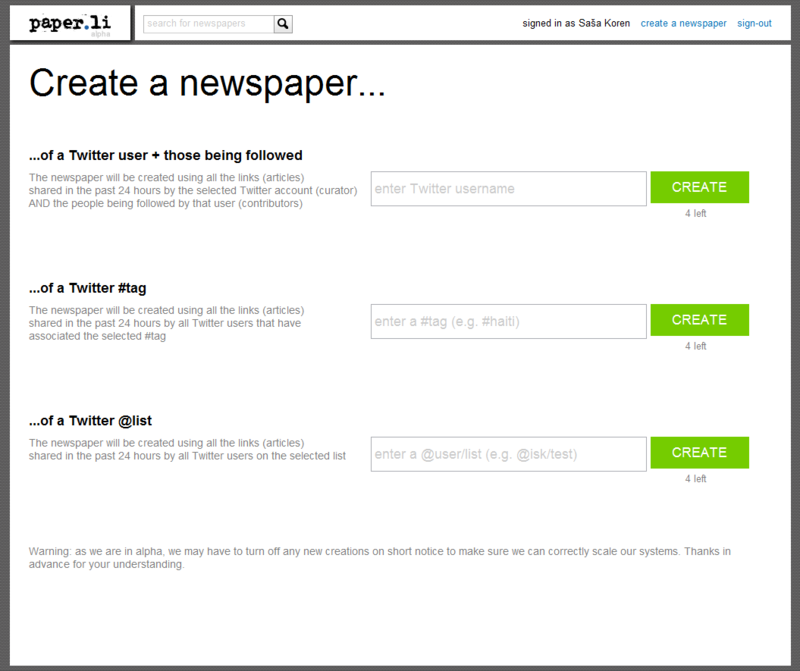 Smallrivers’ Paper.li offers online service to create daily newspaper from yours and your friends tweets, so you can read them in more comfortable and familiar surroundings; in the newspaper style. They use semantic tools to analyze texts, mark those with links and rang them how important they are to you. The most important put on newspapers first page. It takes minute or two and daily newspaper is created. For creating you have to logon with your Twitter or Facebook account and point to yours Twitter account. It shows only tweets with link in the last 24 hours. Exclude all tweets with no connections and are plain text. No need to read for example that someone just woke up and brush its teeth. We can subscribe to daily alert about newspaper direct to your email. 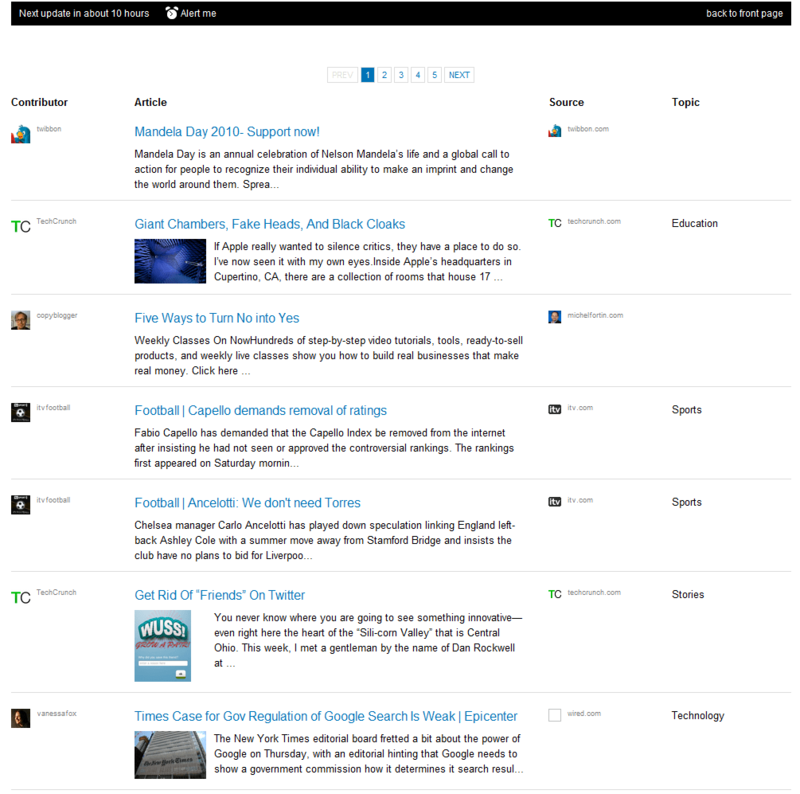 On the first page you can see which topics are in trend, video and photo are different sections, and if you click on all articles, you can see all tweets containing link. Of course I couldn’t write about it if I didn’t try it first; SiSQ Daily newspaper represent all my latest tweets and following tweets. Enjoy.